Give your grill the protection it deserves! 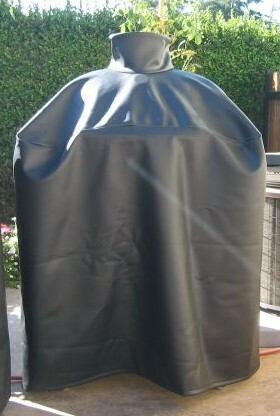 The Primo Grill Cover is a heavy-duty grill cover that protects your grill from moisture and outside elements. If you've got a grill, and you keep it outside, than this cover is a must-have. If you're serious about cooking, than this grill-to-base canopy is an essential. Protect your investment, and keep your grill going season after season and year after year. This cover is designed specifically for use with the Oval Junior Ceramic Grill in Table. WARNING: Burning charcoal in this product can expose you to checmicals including carbon monoxide which is know by the State of California to cause birth defects or reproductive harm. For more information go to www.P65Warnings.ca.gov.